Is Borobudur The Largest Buddhist Temple in The World? How Do You Get From Bali to Komodo Island? Find The Answer Here! 10 Aesthetic Places in Jakarta for Photo Hunting – You Should Visit! Best Cheap Local Food in Jakarta – The Recommended Restaurants! What Are Those Things To Do in Cihampelas Walk Shopping Mall? See Here for More! When is the Good Time to visit Bandung? See Here! What Are The Best Things to Do Near Breeze BSD City? Find Them Here! Things to Do in Pari Island Indonesia – Beautiful Nature! What to Do in Floating Market Bandung Indonesia – Beautiful Experiences! This is Why You Should Visit Semarang Once in A Lifetime for Goodness Sake! The Reasons Why Should Visit Surabaya Before You Die! Have You Ever Wondering Why Raja Ampat is So Expensive? Why Everyone Should Visit Yogyakarta Indonesia? Find the answer here! How Does Indonesia Celebrate Chinese New Year? See Their Interesting Activities Below ! The Magical Things to Do in Seririt Bali, Indonesia – Worth to Visit! How Does Indonesia Celebrate New Year? Find the Uniqueness Here! Things to Do in Mount Prau Dieng – Adrenaline Challenge! Things to Do in Bali with a 4 years old – Cute and Lovely Areas! Where to Surf Near Jakarta Indonesia? Find The Answer Here ! These Are What to Prepare to Hike Mount Bromo for The First Time! 50 Cheap Things to Do in Bogor – The Best Tourist Site in West Java! You Can Do Anything in These Wonderful Things to Do in Tangkahan Indonesia! 10 Marine Tourism Activities in Banten, You Must Visit! Romantic Garden Restaurants in Jakarta with Affordable Outdoor, Fine Dining for Your Special Date ! Things to Do in Donggala South Sulawesi, You Must Visit! Instagram Worthy Restaurants in Jakarta – Amazing Places to Visit ! Horseback Riding in Semarang – So Challenging and You Must Try! Gay Places in Yogyakarta Indonesia – Is It Exists There? Spend Your Marvelous Holiday in These Things to Do in Sragen ! What Are The Things to Do Near Banjar Hot Spring? Find The Spectacular Ones Here! What’s On Tsunami Museum Aceh Indonesia? 15 Vintage Old Towns in Yogyakarta that Worth to Visit! Bunaken Diving Review – The Best Diving Spot Ever! 14 Waterfalls In Bogor – Have An Awesome Experience Here! 20 Things to Do in Cianjur, West Java – Beauty Everywhere! 25 Best Things to Do in Indonesia Before You Die! What to Buy In Sumatra? Find 15 Unique Things Here! What to Buy in Yogyakarta Indonesia? 10 Exclusive Things Here! What to Wear When Travel To Indonesia? Top 10 Fashion Here! Is Bali Safe for Single Females Traveler? 11 Facts Here! It might take per week to generate a terrific spreadsheet. 25 Top Beaches in Sumatra, Indonesia #Heavenly Spots Ever! 19 Top Things to Do in Bukittinggi, Indonesia #No.2 is Breathtaking! Yogyakarta is noted formerly. This city can be seen as a culture city and a students’ city, has succeed become a city of tourism because of many visitors that come around tourist attractions in Jogja, both domestic wayfarer and international. after known by Borobudur temple as one of the seven wonders of the world, Jogja continues to advance its tourism. 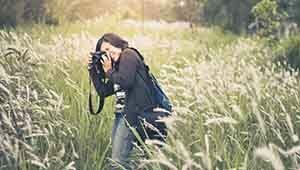 Currently, many photo spots in Jogja are appropriate for photos hunting. If you go round Jogja to capture the latest photographs, these photo spot references will probably help you. Tamansari is a part of Jogjakarta Palace and it’s not far from Malioboro. To get there, generally the sightseers take a pedicab or walk instead. Tamansari is a pool land where kings spend their spare time with their queen consort. There is a well-known Jogja snapshot spot for admirable photo hunting. 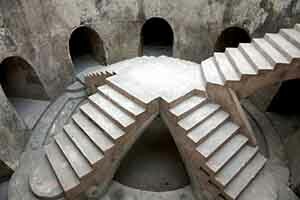 It is a lapsed underground mosque. Many visitors straight out from afar just to capture the best shot. however, to get the best capture is not as easy as it seems, cause we have to be responsive to others. Who doesn’t know Malioboro? Along the Malioboro street is a famous photo spot that becomes the first tourist attraction visited. The place is near to the station. In addition, it becomes the Jogja icon that should be visited. Malioboro street is repaired currently and it is neater than before. Usually, the visitors like to capture beneath the road sign or at the roadside benches that has been niftier than ever. Many lodges are available along this road. You do not have to worry about not getting any lodge, because all of the pedicab drivers are happy to help you to looking for some. The price is agreeable for our pocket. It exacts very much for The Backpackers. It is a new tourist attraction not far from the downtown. Breksi bluff was once a limestone hill for lime mining. 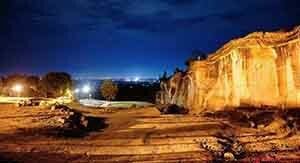 This place will remind you of Jaddih hill in Madura or Garuda Wisnu Kencana in Bali. This Breksi bluff is so picturesque in caused of many derivatives carved right from the limestone mount. It is recommended for you to go there at twilight before sunset in order to get the best enchanting capture. On your way to get there, you can ride your own vehicle or you can take ojek at the station instead. It is costed Rp 70.000 for a round trip. As its name, Runway Depok Beach is exactly an airplane runway. If you want to go there, it may take 90 minutes for your trip from the center of Jogja. There, you will see the 400 meters length straight street which is a runway. This spot has just often being a favorite photo spot for youth and also place for prewedding shots. The best time is in the afternoon before the nightfall, because you can see an extraordinary sunset view here. And you can also enjoy the sensation or sight of low-flying aeroplane. 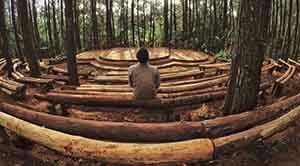 Dlingo pinery is a pine forest in Dlingo, Bantul, Jogjakarta. It is farther than Imogiri pinery if we were in the center of Jogjakarta. The long distance is paid off by the unique view of this forest. The best photo spot of this pine forest is in amphitheatre area inside the forest. The amphitheatre is unique because it is made of aligned woods from the bottom to top. The stage below amphitheatre is beautiful too, it is suitable for photo hunting. This location is eligible to hold natural theme events. If you are looking for a location to hold a natural theme event, just come by this pine forest. You’ll also feel the cool and fresh atmosphere. 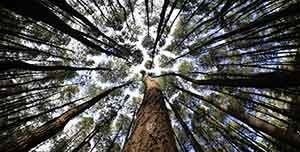 The breathtaking photo spots in Yogyakarta that prove it is a photographer’s heaven, a stone’s throw from the center of Jogjakarta, there is a well-known pine forest, named Hutan Pinus Imogiri. You can capture twilight-style photos there. Almost all of the Jogja visitors come over this place. You can layover there with your friends. People say, you don’t have to take out your cash to enter to this forest. It means, you are free to get in and gives more benefit for the backpackers, of course. You’ll see the typically pine forest view with the high pine trees. You can also stop at the other tourist attractions around to get more tour experience. As its name, Goa Cemara Beach is a beach that has lots of fir trees. It situated in Bantul, Jogjakarta. It is recommended for you to take your own vehicle if you want to go there. You can visit this place to hunt for the top shots. There are ample of catchy spots for the background for prime upshot. This beach is often used for prewedding location. The best photo spot at a point where the aisle is formed from the ranks of fir from two directions. It is similar to the cave shape. Probably that is the reason why its is called by Goa Cemara beach. Do you remember Teletubbies? If you do, then Abang temple will make you have a strong desire to go there, as a spot resemble to the hills of the Teletubbies series. There is an overgrown mound of green grasses that can be a latest photo object. Besides, you can explore further the exist temple. It set in Sleman county. Many visitors begin to know this place and come over there just for enjoying the open view. Lots of native youth come up for refreshing. 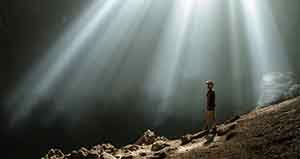 Are you interested in cave touring, or do you like caving? Probably this spot suits you properly. This cave is in Gunung Kidul area and its name is quite popular. For you who wants to hunt photos, there is a spot inside the cave which is really awesome. This cave has a hole at the top so that the sunshine can be able to through into the bottom. That sunshine will show us exotic view as a paradise glow. Even more, the caving activists utilize that hole as entrance to the cave with the accommodation of ropes. Are you interested to try? Kalikuning and Kaliurang are the names of river. The water of the river is very clear and appropriate for hunting great photos. The best photo spot of this location is the bridge and the reeds field. You will be seen like abroad. To get there, You need to ride a vehicle, both your own or public’s. To ride public transportation, the journey starts from Prambanan station and then you can ride minibus to Kaliurang. Stop at Doyo village. You’ll be taken by drop transportation there. If you look for a view like in Bali, you can go to Kosakora crest. Its view is similar to the view of Dewata island, where you can see the ocean from the top of a hill. It is located at Gunung Kidul. You have to pay Rp. 2.000 to enter. It is inexpensive, isn’t it? With that low price, you’ll get an exceed expectation view. The best time is in the twilight. But, if you come at noon, the view is still no less beautiful. 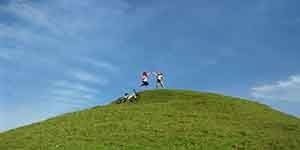 Prepare your best camera for photo hunting at this hill. 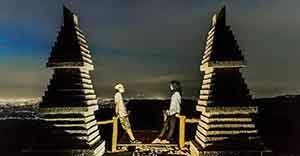 Jogja never get depletion of photo spot for people who hunts the view of sunset. 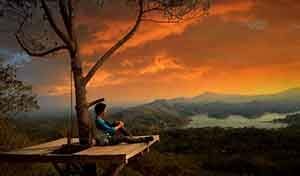 Kalibiru is one of those awesome photo spots for you who adores the dusk or sunset. There is a wooden tree balcony for sitting whilst take picture to the orientation of afternoon sunlight. It is situated in Kulon Progo. Indeed, Yogyakarta is another heaven of Indonesia. There are many breathtaking photo spots in Yogyakarta that prove it is a photographer’s heaven. So, you must visit Yogyakarta before you die. Becici hill is situated in Bantul, Jogjakarta. Previously to get there, you have to walk a.k.a trekking to pine forest track. But don’t worry, because the trail is better now. 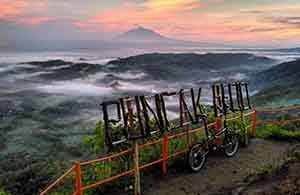 Over there, you can enjoy the view of mount Merapi and mount Sindoro from just one place. The mountains will set up the best photos of yours, exactly. The best time is in the afternoon, because you’ll get the exclusive sunset that band together with the dashing mount Merapi and Sindoro silhouette. The entry fee is just Rp. 3.000, very inexpensive. Located in Dlingo, bantul, Jogjakarta, Lintang Sewu hill is a suitable hill for capturing the best photo from a height. You can come over here since afternoon till night, you can get the awesome sunset too. As the time goes night, you can the diamond field a.k.a the city lights from a height. If you seek a spot to enshrine the Jogja city lights from a height, here it is the spot you can come up with your friends or family. But, you need to prepare all cameras and sweaters so that your activities are not bothered. Because at an altitude, of course this place has cold temperatures at night. Mojo hill is a tourist attraction in Mangunan, and it is a photo spot paradise. There are many photo spots for capturing the contemporary photos. You won’t regret going there. That’s some recommendations of photo spot in Jogja. If you want to visit Jogja, make sure that your holiday plans are organized. Because there are lots of tourist attractions in Jogja to visit. Happy holiday and hope useful! 2017 © Copyright AllIndonesiatourism.Com Indonesia Tourism Official Site. All Right Reserve World Wide.